Councillor Douglas has lived in Alice Springs for more than 30 years and successfully runs two local businesses. He was elected to COTA NT’s board in October 2015. 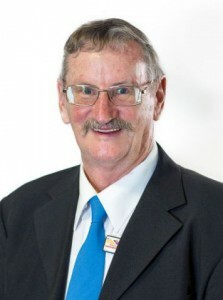 Councillor Douglas’s aims for his term are to refresh the town’s image through streetscape improvements (including footpaths on both sides of all streets) and enforcements of anti-litter bylaws, reviewing removal of graffiti, improvements to the drainage system to limit flooding potential and improving facilities for the town’s senior citizens. Councillor Douglas’s vision is that Council confronts the town’s social issues and maintains its traditional responsibilities at the highest standards.